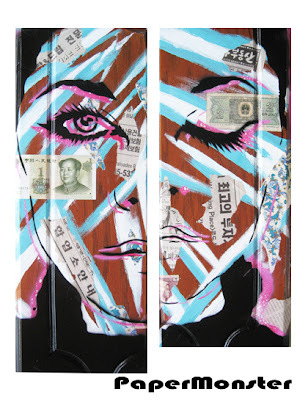 We recently received some new images of works from PaperMonster. 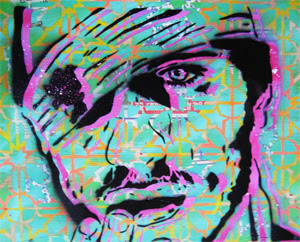 PaperMonster’s stencil work continues to evolve at an impressive rate as each of his pieces brings about a new beautiful composition full of vivid images and colors. PaperMonster has recently just updated his site: papermonster.org and it is an impressive display of talent. 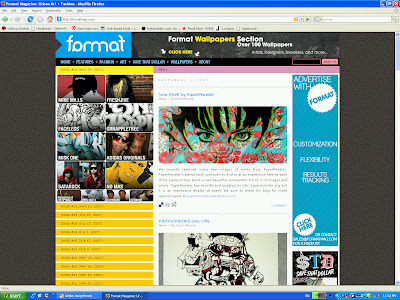 Be sure to check his blog for more news/projects at papermonster.wordpress.com. Juxtapoz.com just wrote an incredible post on PaperMonster. 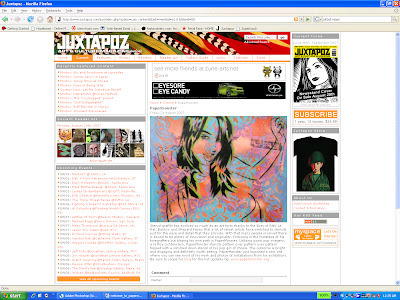 I have a great amount of respect for Juxtapoz. Thank you. You are currently browsing the PaperMonster Stencil Graffiti Artist blog archives for September, 2007.